Welcome to Lab’s Cloud’s latest release on Altar Records. Raul Jordan (of Valencia Spain) is the man behind this inspiring project, where shimmering melodies meet deep pulsing textures, for a memorable musical journey. Prepare to kick start your festival season by “Connecting on a Deeper Level”. After playing the psy trance festival circuit successfully for several years, Raul found himself wanting to explore the new emerging sounds of psy ambient and down tempo. Thus it was in 2004 that his new project was born. With Lab’s Cloud, Raul is realizing his musical dream of bringing healing to the planet through sound. Musically speaking, the use of melody here is really top notch and right in the pocket -not to mention nicely restrained, leaving the listener eager for more. And Raul’s outstanding production skills have helped propel his music to the top of the psybient charts, and resonate with music lovers worldwide. Much of his skills tie in to the fact that he’s worked as an R&D engineer for developing professional audio components such as EQ, compressors and limiters, and also has a music mastering service. In fact, for many listeners he’s considered technically on par with Asura, E-Mantra, and even Aes Dana. It goes without saying that over the last few decades, the evolution of software and hardware for music production has really taken off, and gotten to the point where almost anything is possible. So it’s refreshing to come across a release like this that actually shows how ‘less is more’. The simplicity of the approach taken here is really the album’s greatest strength. There are no extraneous sounds; everything has its place and contributes to the story and the journey. There’s a lot of space around each instrument. And it’s that space that allows the listener to dive in for a deeper connection, creating an even richer experience. Always a fave on the festival circuit (where he’s known for playing both synths and percussion live), expect to hear this album a lot in the chill out and main stages this coming season. Lab’s Cloud has created something timeless with an album that feels so fresh it calls out to be listened to on repeat. “Connecting on a Deeper Level” is a sublime fusion of undulating light and love transformed into sound, proving that one shining heart can indeed touch the hearts of many. 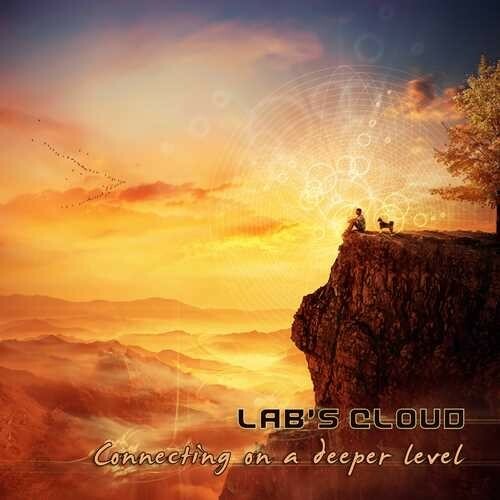 Get ready to dive in deep and rise anew with Lab's Cloud latest release on Altar Records.